This week was busy busy busy. Lots to do, not enough time. On top of that, I felt a wave of discouragement. 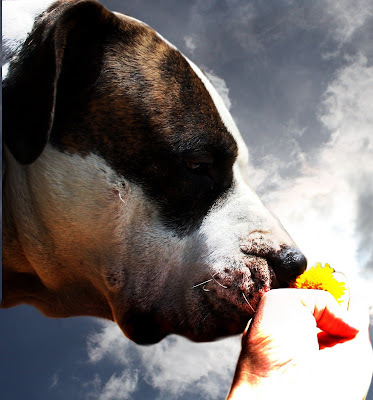 There are so many stories of Pit Bulls being abused , neglected, misjudged, misidentified, and the list goes on. 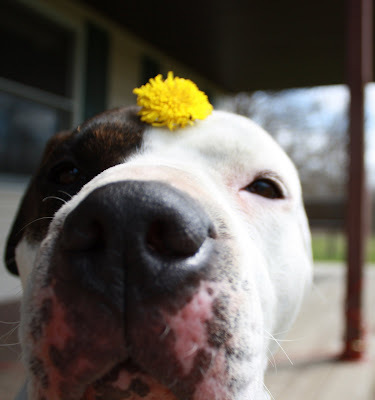 Not to mention the fact that Ohio is trying to ban all Pit Bulls. It seems that for every person trying to fight for their rights, there are ten people trying to tear them down. So I'm asking, go to www.bestfriends.org and read what they have to say on the matter. 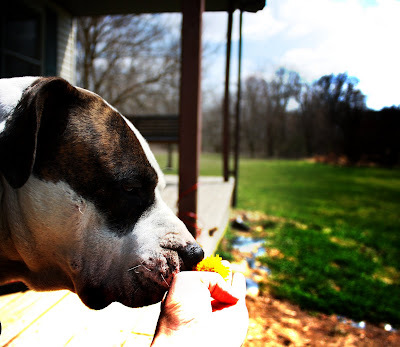 They have updates on what is going on with the bill in Ohio, among other great stuff about Pit Bulls. Education on this topic is the only way to fight bad information, bad media, and bad laws. Awww! Spudsy is such a cutie! 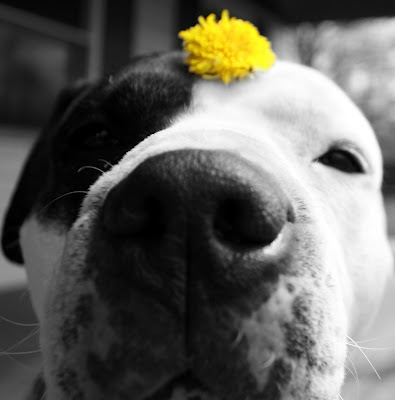 Don't worry, I won't tell anyone he has a sensitive side and sniffles flowers. Thanks for stopping by my blog! I also saw your comment on 3W&W. 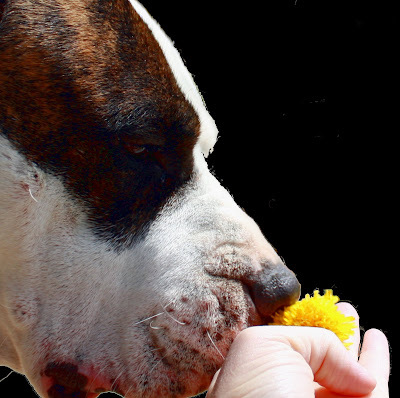 I wanted to reassure you that the bill to ban pit bulls in Ohio (HB 568) is dead. The bill was introduced last legislative session and died in committee.